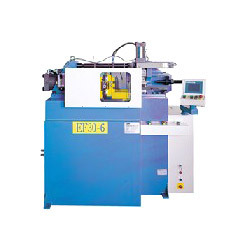 Manufacturer of Industrial CNC Bending Machines & Equipments. 1. New advanced tube end forming machines can handle the complexity of the tube end forming such as reducing, expanding, sizing, flanging, beading, flaring, and etc. 2. Touch screen PLC control with graphic display, friendly use and easy operation. 3. Multi-hit assembly with servo motor driving system for accurate and rapid tools changing. 4. To meet the customers’versatile requirement, 3 hits or 6 hits machine models are available for choosing.